Develop a strategic communication plan that supports the organization’s goals and contributes to its ultimate success. 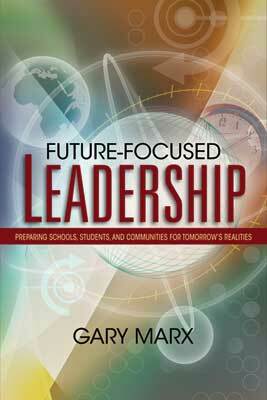 Future-Focused Leadership is written not only for education leaders, but also for anyone interested in successful, forward-looking leadership. Combining stimulating ideas and practical suggestions, the book will ensure that your organization or community is fully prepared today to confront the challenges of tomorrow. GARY MARX, CAE, APR, is president of the Center for Public Outreach (CPO), in Vienna, Virginia, an organization he founded in 1998. CPO provides counsel on future-oriented leadership, communication, education, community, and democracy.